Once a logo is uploaded to your form, it cannot be resized from within DonorSnap. To change the size of your image, you will need to use a graphics editor. 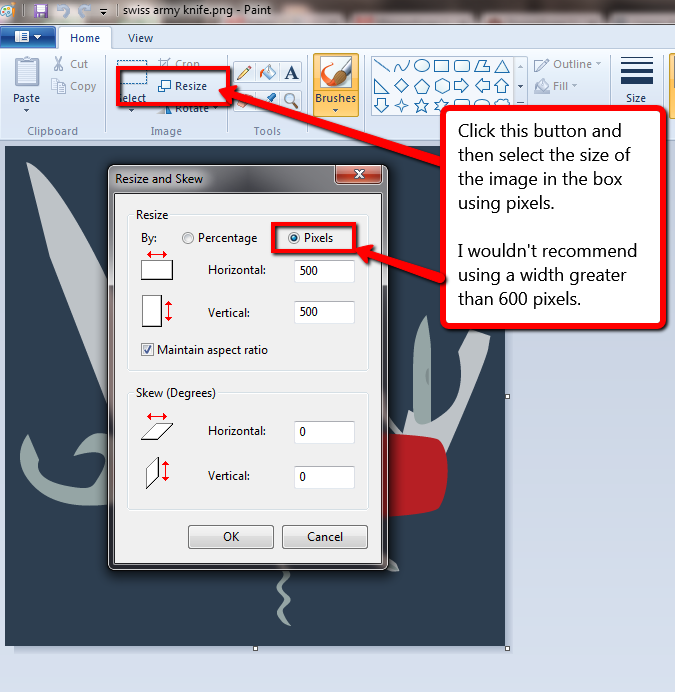 If you are using Windows 7 or later, this can be done using Microsoft Paint. First open the image in Paint. Click the Resize button in the Home menu. In general, you should not use an image wider than 600 pixels.